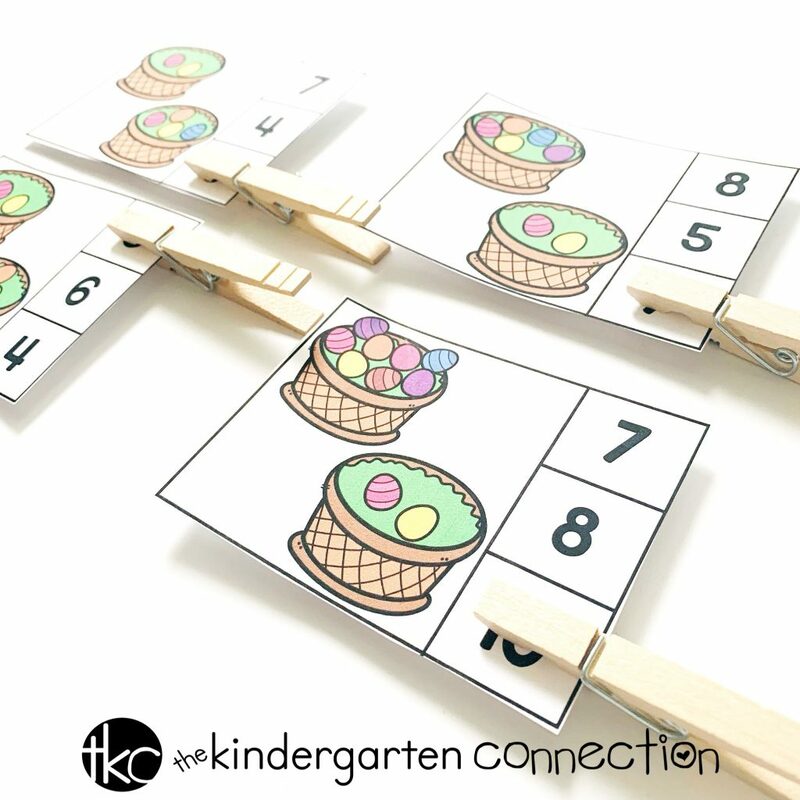 Spring Easter Basket Addition Clip Cards for Kindergarten Math Center! Hey teacher friends! Are you as excited for spring as I am?? Not only do I love all of the warm, sunny weather, but the spring-themed activities are always some of my favorites. 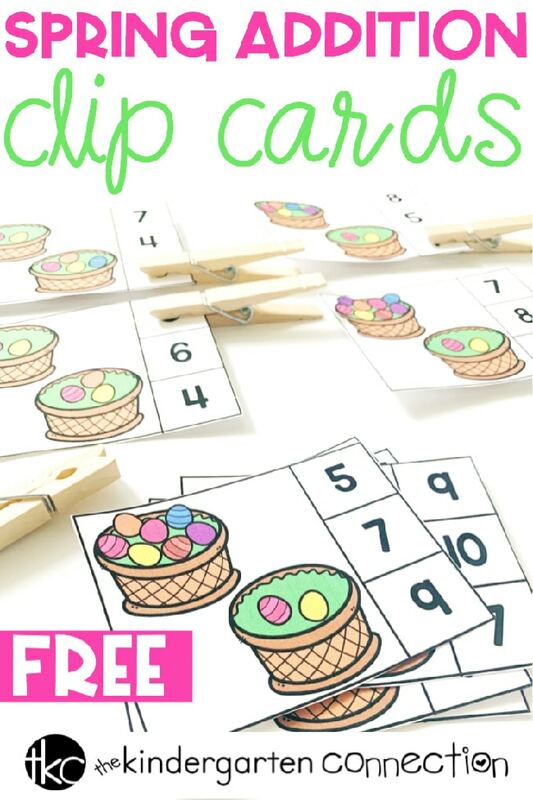 Today I’m sharing Spring Easter Basket Addition Clip Cards (who else loves clip cards?!) that will be perfect for morning tubs or math centers. As teachers, we’re always observing our students’ understanding of various skills and concepts. 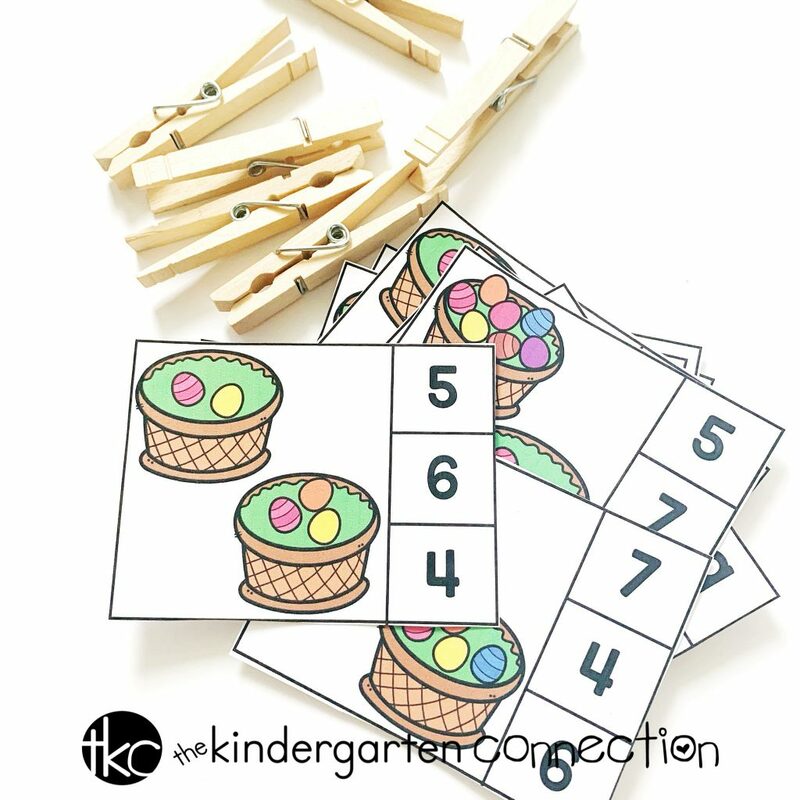 This activity will help you observe your students ability to count with 1:1 correspondence, count on from a given number, and subitize. This free download includes 16 clip cards that represent addition problems for sums from 2-10. Sums of 2 and 3 each have one clip card. Sums from 4-10 are all represented on 2 clip cards so students get to practice various representations of number combinations to those amounts. If you’ve never used clip cards before, you have to start! One of the reasons I love clip cards is that they’re simple to prep and use! Just print, laminate, and cut out. Then set the cards out with clothespins and you’re good to go! If you’re like me and you’ve misplaced clothespins before (oops! ), use the laminated cards with dry erase markers instead! 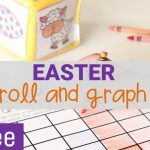 Each card has 2 baskets with a given amount of eggs inside. Students count the eggs in the baskets to determine the sum. The cards each have 3 numbers on them so that students then have to demonstrate their ability to accurately identify numbers 1-10. Once they determine the sum and the number that matches, they clip the clothespin on the appropriate total. Subitizing refers to the ability to simply look at a set of objects and determine how many are there without counting. Think about what happens when you roll a die. You don’t have to count the dots on the die to know the number you rolled. Your brain automatically processes the arrangement of dots to determine the amount. That’s subitizing, and it’s a very helpful skill when it comes to developing number sense and addition fluency. 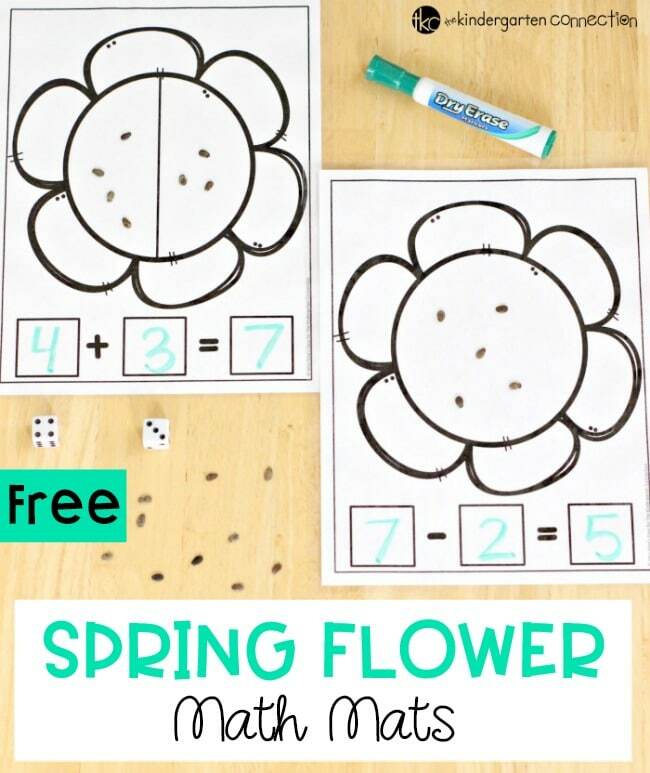 I hope that you and your students love this activity and that it helps them further develop their addition skills/readiness. 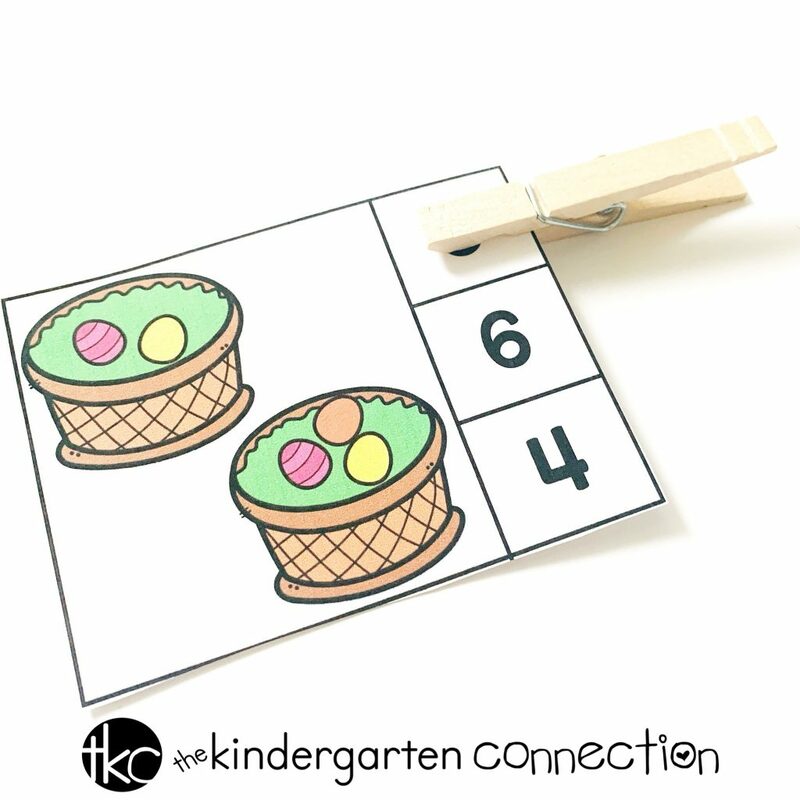 You can download these free Spring Basket Addition Clip Cards by clicking the large, yellow button below. Thanks! Great Spring/Easter themed practice!